Engage and reward your students with this sampler of free puzzles. Whether you’re looking to supplement a lesson, or are looking for fun ways to reward your students, we have a sampler of freebies ready for you to download and use immediately! 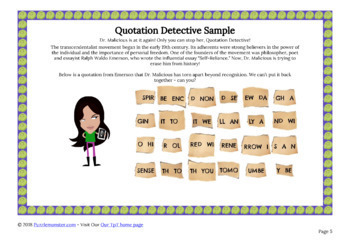 Quotation Detective - students are challenged to reconstruct quotes from famous historical figures. 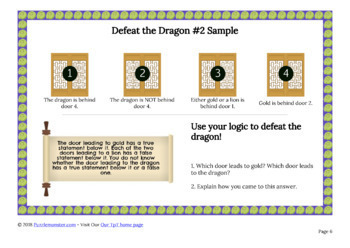 Defeat the Dragon #2 contains puzzles that will help your students practice concepts in deductive logic. Meets Common Core standards W.6.1, W.7.1, W.8.1. Cross Word search - A cross word search puzzle is a cross between crossword and word search. All three brain teaser puzzles in this freebie are no-prep and ready to project using the free and ubiquitous Adobe Reader.